Garrick has climbed throughout the west including ascents on El Capitan in Yosemite as well as rock and ice routes in places such as Red Rocks, Moab, The North Cascades, and throughout Wyoming. Many of the ascents were with his wife Shannon, twin daughters (15) and son (12). 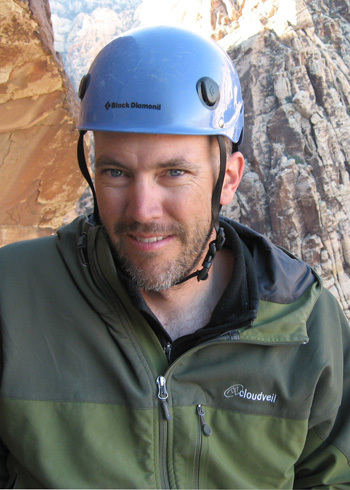 Garrick Teaches Physics at Jackson Hole High School, and runs the mountaineering club there as well, teaching students to know and love the mountains as well as how to travel and recreate in them safely.